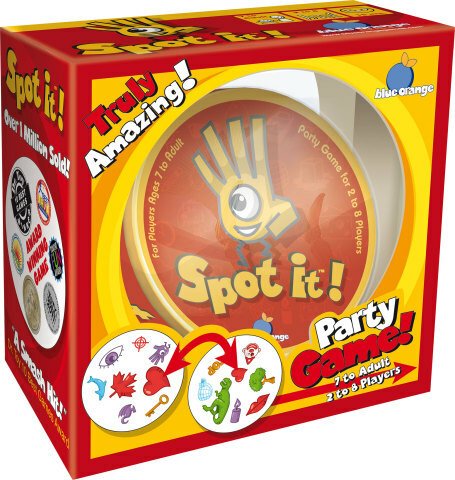 GUYANCOURT, France--(BUSINESS WIRE)--Asmodee Group announced today the acquisition of the worldwide publishing, commercial and brand rights of the Spot It!/Dobble Game from the Divertis Properties Group, Play Factory, Blue Orange publishers and individual successors. 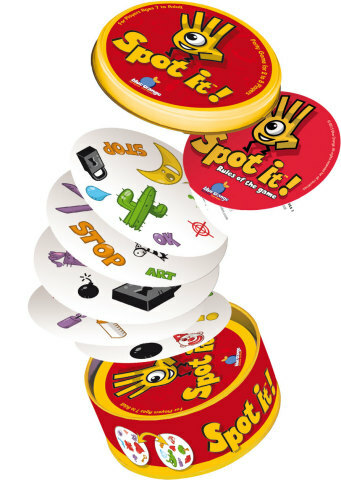 The game is known as Spot It! in North America and Dobble in the rest of the world. Since its launch a few years ago by Blue Orange, the game has become a leader in the card game market. It is available in Europe, North and South America and Asia, and is increasing sales and market share with 7.7 million units sold in less than five years. Of those 7.7 million, more than 3 million units were sold in North America in 2014. Like its recent acquisitions of the board game publishers Days of Wonder, Pearl Games and Fantasy Flight Games, this deal is part of Asmodee’s strategy of expanding its portfolio and international presence in order to offer the most innovative and leading games to the core gamer community and to the largest number of players in general. The Group is growing its U.S presence, the world’s top board game market with about $1.8 billion. Its strong organic growth rate of over 100% and its latest acquisitions account for the continuing success. As co-publisher and distributor outside of North America, Asmodee Group has played a big role in developing the game. After a transitional period during which Blue Orange will continue to market it in North America, Asmodee Group business operations will handle distribution. Asmodee Group is a leading international games publisher and distributor with operations located in Europe, North America, and China. Asmodee’s best known titles, either published or distributed on behalf of key publishing partners, include Ticket to Ride, Splendor, Dobble/Spot it!, X-Wing, 7 Wonders, Dixit, Takenoko, Abyss, Timeline, Jungle Speed, The Werewolves of Miller’s Hollow. In some European countries, Asmodee also distributes trading card games such as Pokemon, Magic, Yu-Gi-Oh!. Asmodee is headquartered in Guyancourt, France.